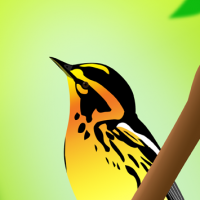 The Alleyverse now has 100 topics! But anyway, the idea is that we have our own meme thread for Alleyverse memes, of you want to post here. I'm planning on editing a few in in a minute. Hey everyone! How's your day been? This is for funny jokes/memes. Feel free to share your favorite Cosmere jokes with the community! So I have a bunch of Reckoners themed memes on my phone, and thought it would be fun to post some of them here! 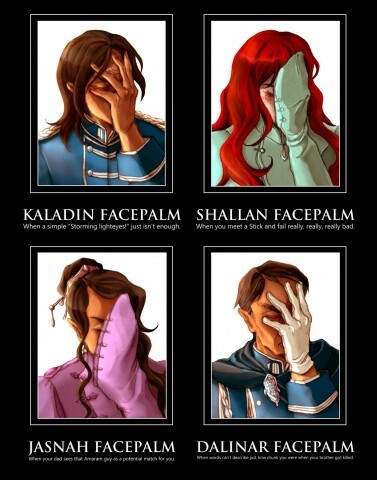 Feel free to post any Reckoners memes you have too! A few of mine are posted in the spoiler section above. Spoilers for Steelheart and Calamity. I'll upload some non-spoiler ones later! 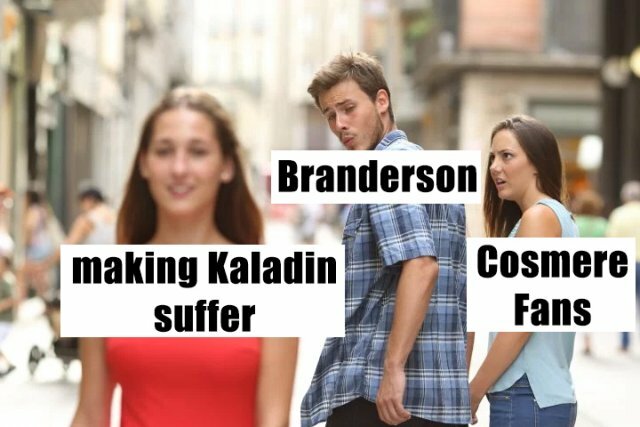 Memefying "What Happened in Portland"
I promised the Shard that if I got the Oathbringer cover giveaway I would memefy Oathbringer. I figured I would do the first chapter so you could see what that would entail! Also, I might make this meme thread anyway. But I still want the dust jacket! PROLOGUE: TO WEEP Eshonai remembers how surprised she was when she first saw humans. She remembers what she thought when she first saw humans with parshmen. She thinks about herself And about humans And about Alethi art She finds the king, but pretends to not speak Alethi She speaks to Gavilar, who is quite perceptive But then reveals his true plan Eshonai is afraid And tries to make him stop Gavilar doesn’t listen, but he does show Eshonai a map of Roshar, which is neat Klade, another Parshendi, finds Szeth to assasinste Gavilar, with the help of a voice in his head. Probably Odium, or maybe an unmade? And Gavilar is killed More to come one if I get the dust jacket! Ah, never mind, I’ll do it either way. TheRealKelsier posted a topic in Introduce Yourself! Everyone post the funniest or most interesting things you can find on the Cosmere (memes, jokes, questions, lore, etc. 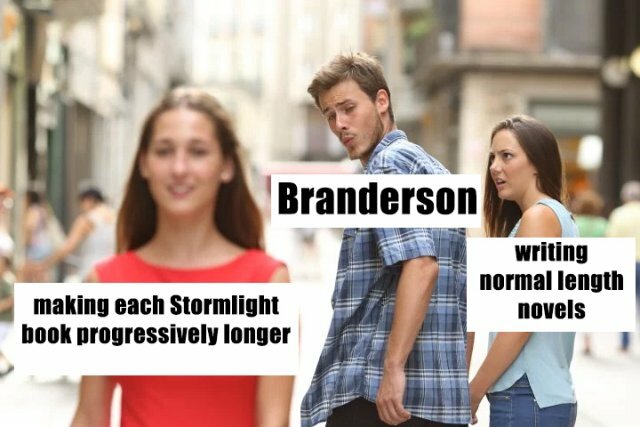 So we have a very successful Sanderson Memes thread, so I thought we should have a regular memes thread. Please be polite and respectful. Without further ado.... Memes! .